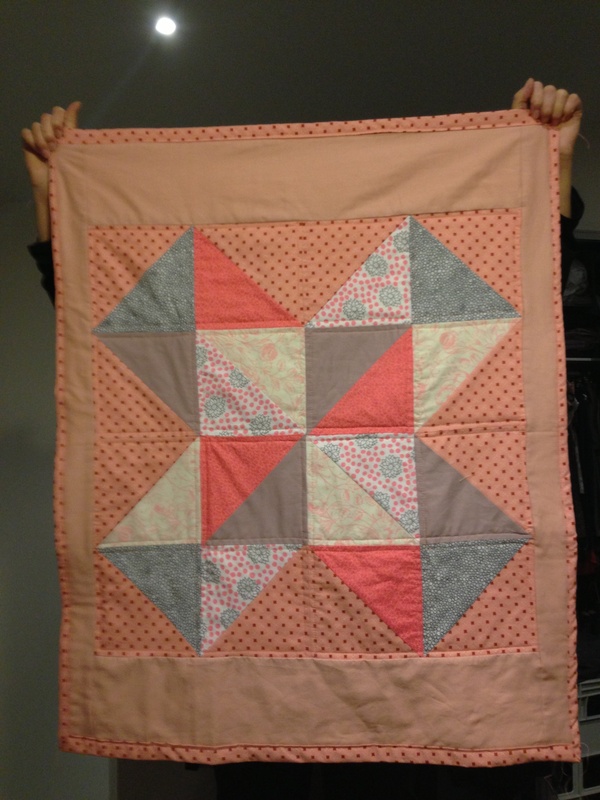 Made with love… this ‘Sarah’s choice’ block quilt for my friend’s baby girl! It’s pretty and girly and bigger than necessary so she can grow with it. The wadding is Organic cotton wadding certified for use in Cots. Once the baby is born and named I will visit and stitch on her name. Good excuse to visit and meet the baby :-). Book underneath on the chair is The Family Hour by Tai Snaith – a fantastic new children’s book from a lovely talented Melbourne artist. 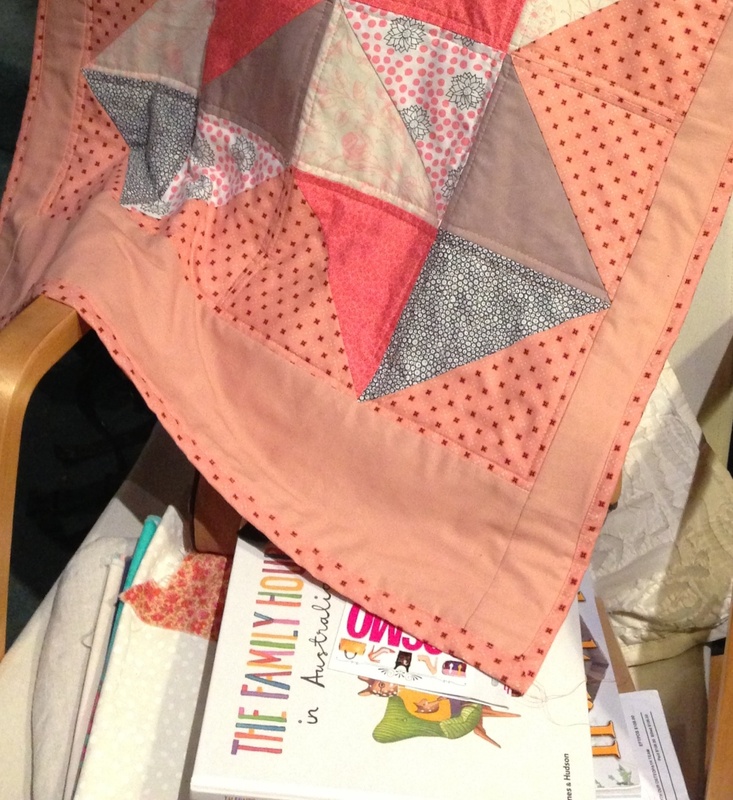 This entry was posted on July 28, 2013 by studiopossum in Craft.